Johnny Depp as Sands. 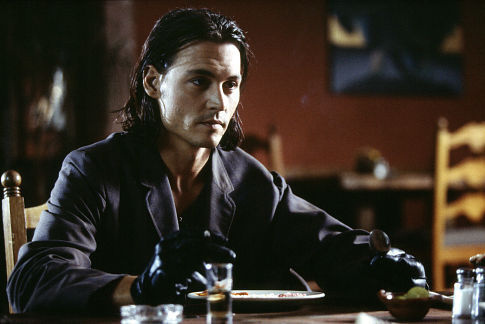 Johnny Depp stars as Agent Sands in the Robert Rodriguez film "Once Upon A Time In Mexico". Wallpaper and background images in the Once Upon a Time in Mexico club tagged: once upon a time in mexico ouatim johnny depp agent sands robert rodriguez movie. This Once Upon a Time in Mexico photo might contain пивной бар, пивной ресторан, and бистро.